Walking the path to right living requires tenacity, faith and a belief in the higher way of living. Adhering to what you believe to be ethical, compassionate,humane and true means being aware of those moments when we start to vier off that path . Like bumps in the road that remind us we are not in the center of the driving lane, the Yamas provide us with a road map with specific guidelines we can work with to live skillfully with compassion, right action and sense of freedom in knowing we are being true to ourselves and our maker. Be gentle with yourself and others as you strive to walk this road less traveled remembering that, we truly cannot become enlightened beings by simply sitting on a meditation cushion, doing yoga poses or reading spiritual material; WE MUST ADHERE TO AN ETHICAL PRACTICE if we are to move forward in our journey back home to our true selves and do the work we were meant to do in this lifetime. Trust, take risks, be willing to be vulnerable; there is a song in your heart waiting to be sung and in walking the true and right path you will find inside you the ability to give yourself fully to your unique, beautiful style of music that lives inside your soul. Thanks to all of you who attended the Vinyasa and Live Music with ShaktiPath, it was a wonderful experience flowing together in vibrational energy while raising money for the American Cancer Society!!! 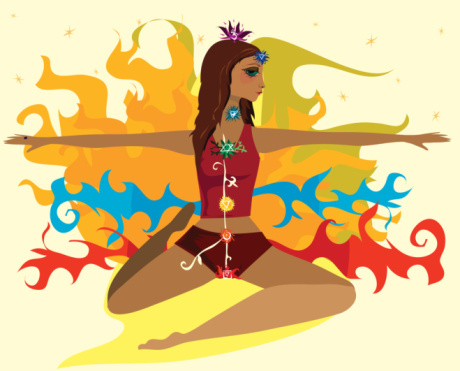 If you want to keep up to date with ShaktiPath’s happenings, go to our website at www.ShaktiPath.net or like us on Facebook!